If you are tired of the "9-5" and you're ready to make a big difference in the world while making a good living for yourself and your family, start with the free online workshop "Make A Living While Making A Difference." That will give you the framework for my approach to helping you reach this goal. Of all the work that I do, I am most proud of this program because it is so powerful in bringing more love and light into the world. Each woman who breaks away from the corporate world (or a noncorporate job where the focus of making a profit overshadows any good the organization might do) multiplies the impact we can have. This is a community of women from all walks of life who recognize the futility of neoliberal capitalism as well as its toxic impact on communities. Apply to join our private FB community to get a sense of what we are individually and collectively working toward. You have the power to make the world a better place. If its killing your soul to sit in a cubicle while you know there's more out there in the world for you...then its time to make a change. Be bold and empowered. Do good in the world and get paid well for it. The world needs each and every one of us to change the trajectory of destruction and corporate greed over human welfare. I'm here to support and guide you as you transition away from the corporate rat race to extinction and into a lifestyle that allows you to contribute, to heal yourself, the planet, and humanity. Teachers, artists, healers. We need more of you in the world. Connect to that vision and join us. For any of these groups, email me your interest and we'll schedule a time talk. If all goes well, we'll set up an initial private skype session to work out your goals for the program. Once that's complete, you can start the group right away. 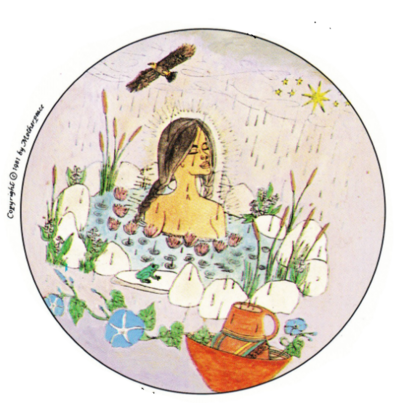 The hearthkeeper builds and maintains sacred space--keeping the home a place of rest, healing, and creativity, a place where community may grow in a safe and nurturing atmosphere--an ecosystem that exists for the maintenance and benefit of the self/family. Hearthkeeping is sacred work. 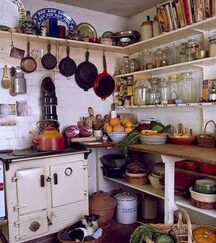 This group explores how to embrace the lost art of hearthkeeping/homemaking, elevate it to prominence, and cast a fierce intention for its protection and sanctity. The home is the nexus of our individual economy, our care, our nurturance, and our growth. 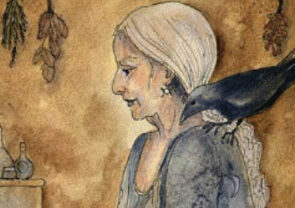 We'll explore poetry, ritual, soil, pagan blessings, and everything in between. This year-long program is for women who want to begin, transition to, or strengthen a livelihood that is based on sustainability, healing, ecological awareness, teaching, and/or creativity. If you want to start or grow a holistic and/or ecolocially-minded business as a healing, teaching or creative professional, this program helps you align your soul with your work by providing community, guidance, inspiration, accountability, intuition development, and businesss building from a soulful and spiritual perspective. You can read more about my point of view on building a business or holistic practice that helps heal the world here. We kick off the program during the month of December with a full-day retreat on sacred land about 45 minutes west of Philadelphia. You can join us for the retreat only or for the year-long program. The retreat is a prologue where we will use a variety of intuitive tools like hypnosis, tarot, myth, and archetypes to help you align with your true vision for the next year in business. You'll leave the retreat with a year-at-a-glance plan for your business that is guided by the deeper levels of creativity and intuition that you access and explore during the day. There are learning components and working-on-your-business/practice components. The retreat is not a group therapy day and its not a support group day. Its a get-stuff-done kinda day with learning and laughing in between. It's also a beautiful day in a beautiful setting on beautiful land where you'll be fed deeply nourishing food for lunch as well as refreshments throughout the day. We'll end the retreat with a closing ceremony by firelight where you will seal your intentions for your business/holistic practice in the coming year. Read more here. Moving on from the retreat, the year-long program begins in January where you'll get monthly support and coaching from me as well as monthly education modules for continuing to deepen your connection to your inner light and wisdom so you can do more good and healing in the world. 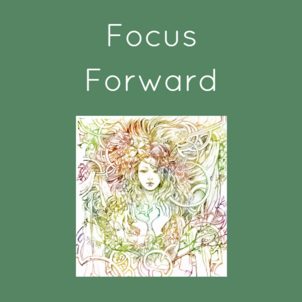 Focus Forward is a program for college students and early-career professionals who want to be more organized, get more done, and who don't want the expense or time commitment of weekly one-on-one sessions. You'll get audio & video tutorials every week, have access to our online support community, track progress toward your productivity daily & and get twice-monthly live group coaching from me. The cost for the group is an initial fee of $125 which covers our private session + $97 for the 4-week membership. After that, you can renew your membership at the rate of $97 per 4-week cycle. 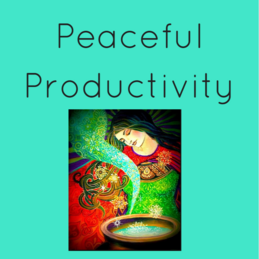 Peaceful Productivity is a program for women who want to get more done, and don't want the expense or time commitment of weekly one-on-one sessions. You will receive audio & video tutorials every week, have access to our online support community, track progress toward your productivity goals daily, and get twice-monthly live group coaching from me. The cost for the group is an initial fee of $125 which covers our private session + $97 for the 4-week membership. After that, you can renew your membership at the rate of $97 per 4-week cycle. Read more here. 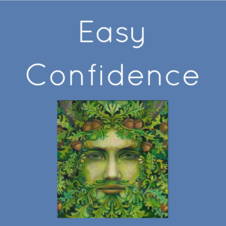 Easy Confidence is a program for people who want to feel more socially confident & at ease. If you're socially anxious and its causing you sadness, this could be a fit. Read my take on social anxiety here. You'll get a good sense of my point of view and the content for the educational component. The three program components are: 6 educational modules; behavioral exercises; daily online progress tracking of your goals, and twice-monthly group coaching calls with me. Check out more info here!